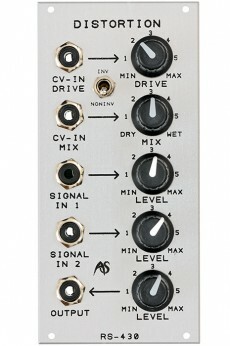 Really good sounding distortion module with voltage control of distortion amount and the mix between dry and wet signal. 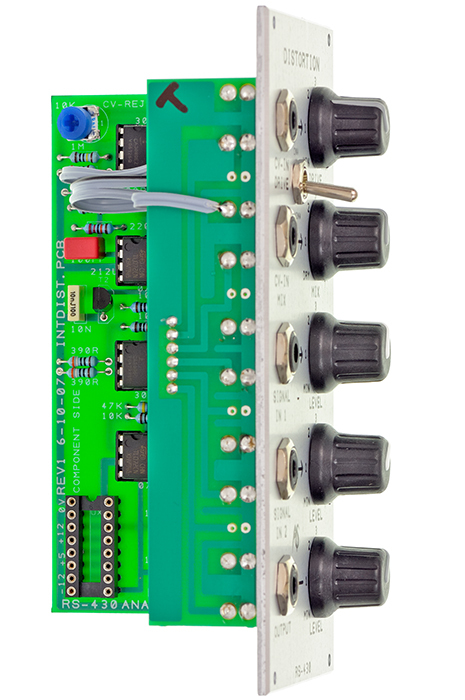 The module is optimised to high level in a modular systems but you can process guitar signals as well. 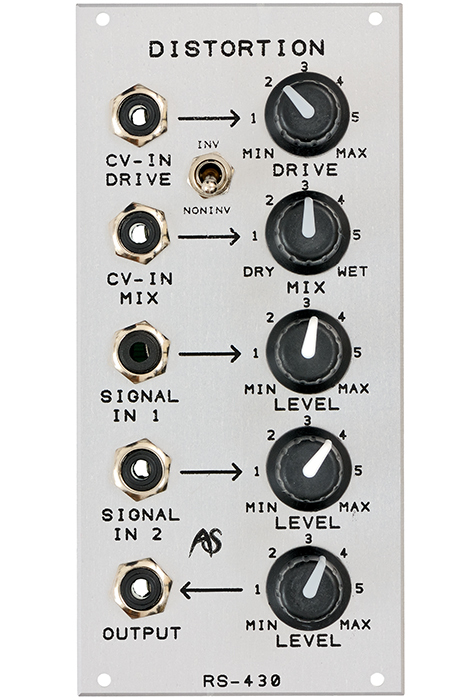 Two CV inputs make it possible to modulate not only the amount of distortion but also the dry/wet-relation. The mix of both audio signals at the input is being split and sent to two signal paths: the unprocessed, clean path and the one distiortion ciruitry. The switch labeled INV/NON-INV betermines if the distorted signal has the same phase as the original signal or if it´s phase inverted, an aspect that can change the timbre. If you´d like to use the module before a filter module in order to filter two oscillators, the two audio inputs come handy as you cyn leave out an additional mixer module. But the RS-430 can be used anywhere in the signal path of course. 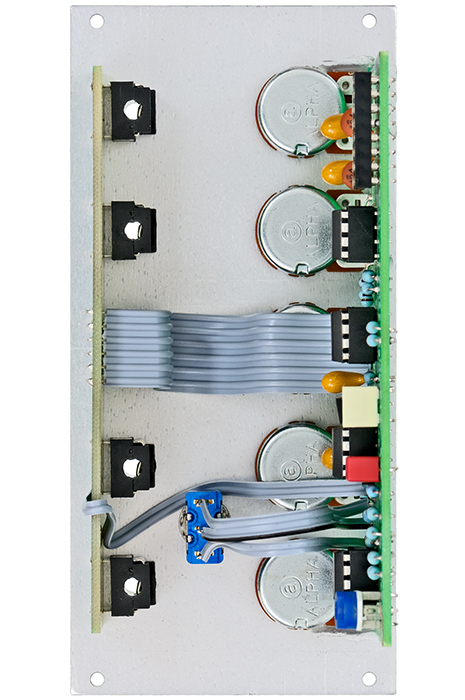 All modules by Analogue Systems come ready to use with five years warranty mounted in the by the customer preferred rack or cabinet.